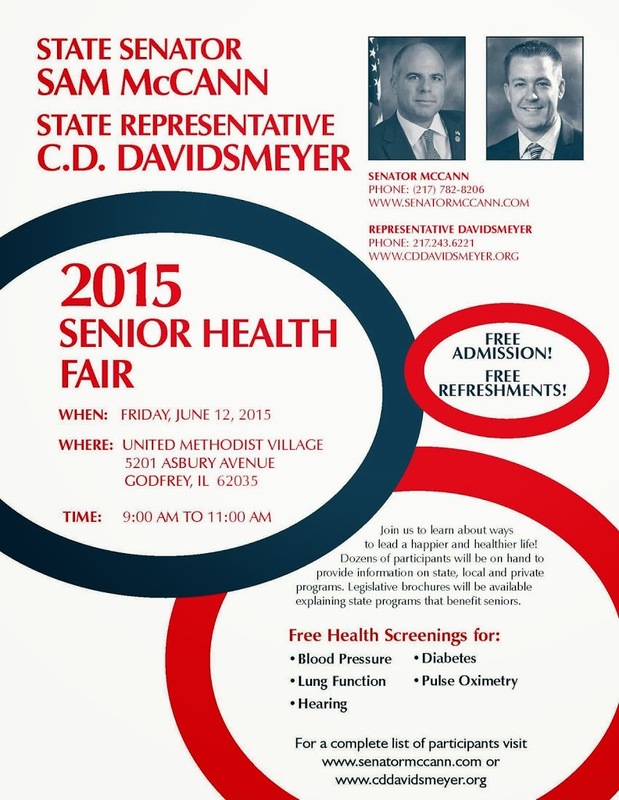 State Representative Davidsmeyer and State Senator McCann will host a senior citizen health fair Friday, June 12. The fair will be held at the United Methodist Village, 5201 Asbury Ave in Godfrey, IL from 9am to 11am. The fair is free and open to the public.